In terms of politics there is nothing new under the Sun.More than half a century ago African leadership of integrity encountered the very same negative forces that leadership of integrity encounters today.Ghana`s president, Kwame Nkrumah, explained to us what these forces are and how they operate, he explained this to us over fifty years ago. 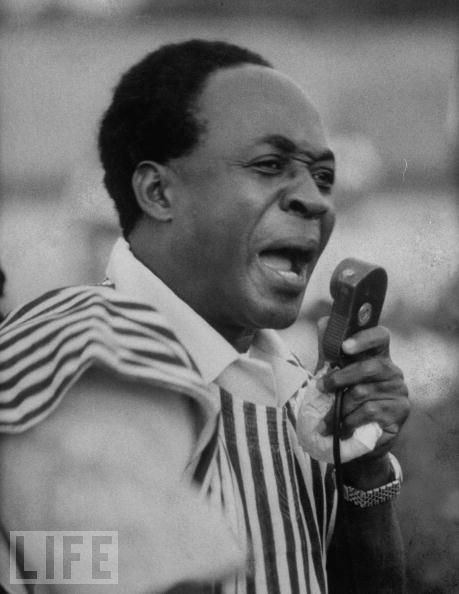 What the great Kwame Nkrumah was talking about was an empire and how this empire controls its colonies.Nothing has changed in Africa since this great man had the courage to speak out.The empire that controls Africa is no longer visible as `colonialism`, but it is still completely in control. It is now the Invisible Empire. This Invisible Empire does not just control Africa, it controls almost all the world. It is the global monetary system that enslaves through economics, that enslaves the majority of people through poverty. The Invisible Empire is at war with us, the majority of us, at economic war. We cannot attribute a nationality to this empire but we can attribute a residence which is the City of London.This is the financial centre of the world and the global raw materials market which has deliberately underdeveloped the African Continent for several hundred years,deliberately enslaved her people and withheld from them any meaningful development, ie., industrialization. Many of Africa`s great leaders and true heroes have in the past attempted the industrialization of their countries. They have each and everyone of them either had their characters assassinated and demonized or have been met with untimely deaths.Such great men are the likes of Gamal Nasser of Egypt,Thomas Sankara of Burkina Faso, Kwame Nkrumah of Ghana and Muammar Gadhaffi of Libya. Kennedy was telling us that the great country and generous people of America are as much in the grip of this Empire as anywhere else, and this explains the murderous foreign policy of the USA since the end of World War II. But the enemy is not the Empire. The enemy is ourselves. It is our refusal to open our eyes and recognize the games and tricks of austerity, poverty,war and divisions within society which the Empire uses to keep us from uniting, from recognizing each other as our brothers and sisters. Despite Portugal being a member of Nato, there were in fact many restrictions on the kind of weapons they could purchase due to the international sanctions placed against them. They had over 80 sabre fighter jets but were not allowed (by nato) to use them. The guerrila’s they were confronting, however, recieved more weapons from their supporters ( the U.S and the USSR) than they could use and eventually had a technological edge over the Portuguese forces. The truth is, Portugal’s presence in oil rich Angola caused a lot of discomfort in many countries, both in Europe and elsewhere! Whenever my 12 yr old nephew asks me for money or for eeisnxpve gifts, I ask him to write me a 100-word essay about a Black man or woman in history (that’s my way of getting him to read, and to read about our people), and recently he wrote about Mr Thurgood Marshall. He used to hate the writing projects I assign him but he really enjoyed reading about Mr Marshall. It always fills me up with pride at our black firsts. My sister appreciates it also because when he’s doing his research on famous black people that means he’s not playing psp games or doing something he’s not supposed to be doing. Thank you for posting this.